While most eyes are on the NCAA bracket, those interested in the latest in sports technology would be wise to check out this week's NAIA basketball tournament taking place in Kansas City. That event, which runs through Tuesday and features 32 smaller schools, is serving as a testing ground for several new technologies including ShotTracker, a system that lets coaches and fans get real-time stats thanks to sensors in the ball, players' shoes and the arena itself. 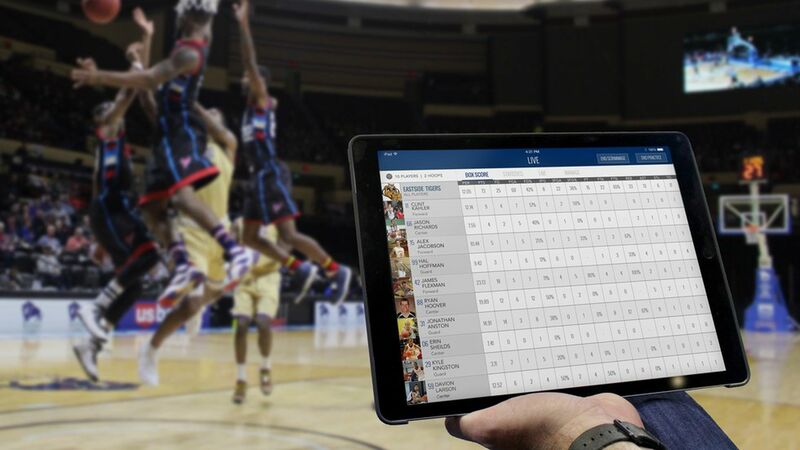 "We believe ShotTracker is to gyms what Wi-Fi is to coffee houses," ShotTracker CTO and co-founder Davyeon Ross told Axios. Pricing hasn't been set, but Ross said the goal is to have it priced in the thousands (as compared to tens of thousands for video-based systems) so that it can be affordable to high schools, AAU teams and small colleges, in addition to the big university and pro teams. The system has its limits too. It needs human intervention if, say, a foul is called and a basket waved off. Ross says the goal is to learn a lot from the NAIA tournament and refine the product through other uses, including at a number of tournaments this summer. ShotTracker got its start with an individual one-hoop, one-player option that is still sold for around $149 on Amazon. Wilson makes a rival connected basketball that doesn't require sensors on the shoe or hoop. The company, which has 27 employees and contractors, has backing from Magic Johnson Enterprises. former NBA commissioner David Stern, and the LA Dodgers' Elysian Ventures.